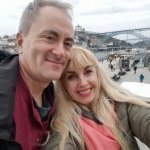 For the visa interview, does anyone know if my Ukrainian fiancee's vaccination history needs to be in a certain format or document that is acceptable to the U.S. Embassy in Kiev? Usually it's Form 063/O - vaccination record. The Form can be requested from your physician. It should be presented during medical exam, not at the US Embassy. . The form is a basis for the physician to transfer your medical record to the Form DS-3025. Form DS-3025 will be needed later, during AOS. If the Form is incomplete, than required vaccinations for AOS have to be done in the US, by civil surgeon.